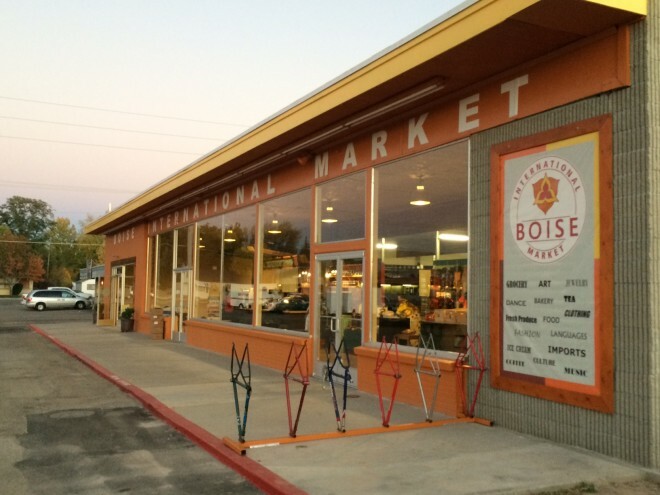 In October 2014, after two years of rebuilding, recruiting, and planning, the Boise International Market (BIM) opened on the site of a once-dilapidated and partially burnt down strip mall in the “Bench” neighborhood of Treasure Valley. 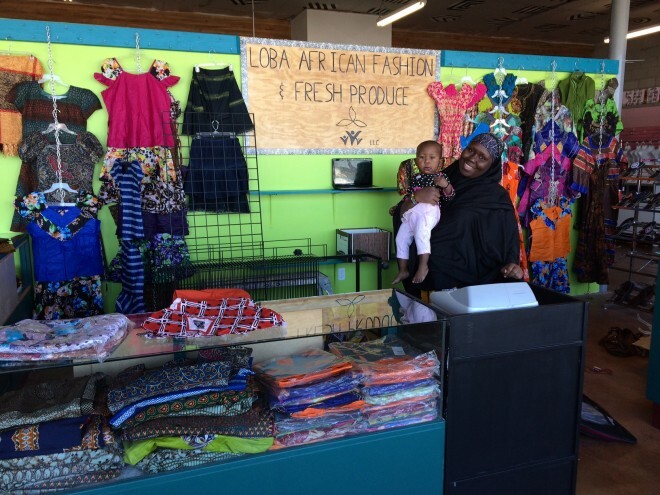 The Market began as an incubator program for small businesses, focusing in particular on Boise’s large refugee and immigrant population. Today, only a few months since opening its doors, the site has 27 vendors and restaurants selling food, clothing, and other products from all over the world. 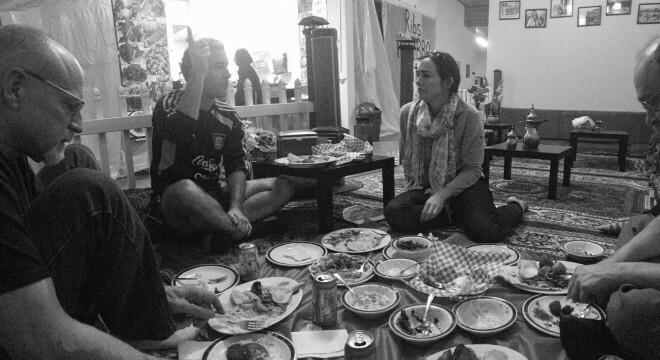 Between 1990 and 2011, more than 11,000 refugees settled in Boise, Idaho. “Many very talented people were cleaning rooms, driving cabs, and working at fast-food places,” Gaddi explains. These were the same folks who, in their home countries, were “fashion designers, models in Switzerland, or accomplished Iraqi mural painters for the upper class.” There were few opportunities in the community for the talent and creativity of these individuals to be engaged or encouraged. From the very start, the creation of the Boise International Market was a community-centered endeavor. At the beginning, when BIM was nothing more than a burnt-out strip mall, Lori and Miguel had to figure out how to get vendors and shoppers into their new space. In the weeks leading up to the market’s opening in mid-2014, they went from home to home, asking potential vendors if they were interested, what they wanted to do, how they felt about starting their own business and if they thought it would work. They shared ideas, knowledge and experience with more than 300 families during their weekends and in the little free time they had. After securing vendors, they enlisted the help of organizations like the Micro Enterprise Training and Assistance (META) program—a Boise-based nonprofit that offers special services for refugees—to assist each new business in procuring necessary documents, applying for appropriate licenses, building and designing their stalls and stores, and developing individual marketing strategies. Even though public interest in local markets has surged in the last several decades, it can be difficult for some entrepreneurs and small business owners to move beyond the starting line. Since a lack of resources and difficulty securing affordable space can be huge barriers, BIM gives vendors the opportunity to start their business at low rates and with significantly low risk. This collective leap may be one reason why there is such an air of support and camaraderie at BIM. As Gaddi describes, vendors are continually sharing their experience with other new vendors, imparting their unique skills and the lessons they’ve learned along the way. “We wanted to make it easy for people to give it a try without putting excessive risk into the pursuit of their dreams,” Gaddi explains. Boise local Terry Hathaway, owner of “Joyful Tea,” had been trying for three years to get his business started at other markets and fairs, without success. 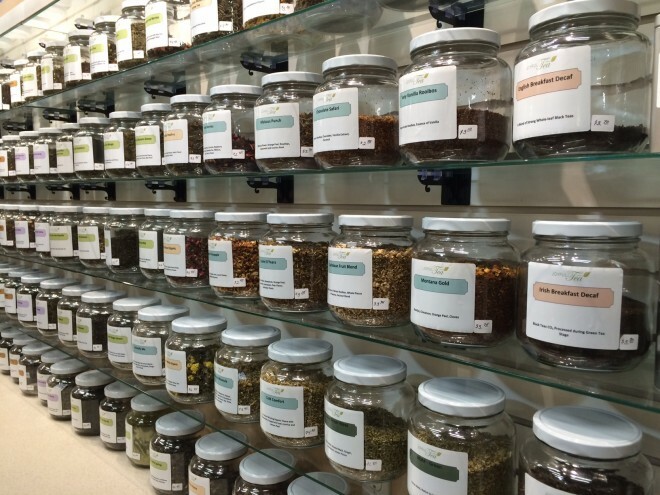 The Market enabled him to finally open his teashop, which has been his lifelong passion. Along with Hathaway’s tea, Market visitors can browse a wide range of unique craft and clothing vendors or sample the Ethiopian, Turkish, Somali, Colombian, Iraqi, or regional American fare at one of its many restaurant stalls. The close quarters have led to an active cultural exchange between vendors. "I'm gonna start experimenting with lamb because of what I've been learning from Salam," says Ryan Hansen (JBR’s BBQ) referring to his market neighbor Salam Bunyan (The Goodness Land). 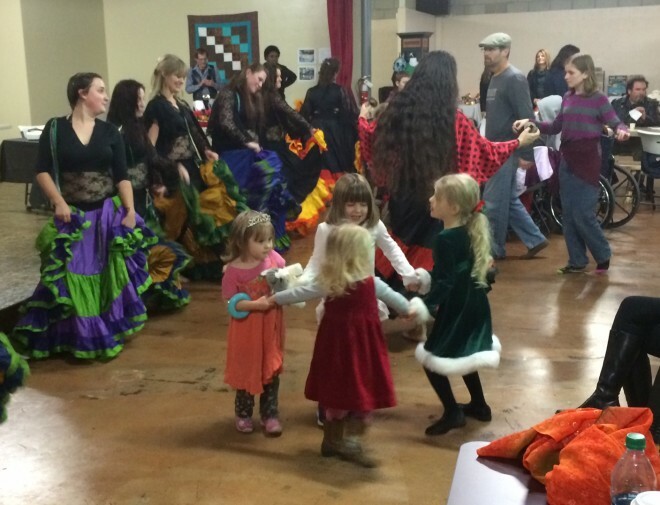 This fellowship and exchange between vendors mirrors the process by which BIM has become a multi-functional community gathering place more broadly— the market continues to hosts frequent cultural celebrations and events from Flamenco dance parties and cooking classes, to theatrical and musical performances. Vendors have also devoted a special corner of the market, which they have decked out with flags and a giant flat screen TV, for watching soccer and cricket matches together. In transforming a rundown strip mall into an exciting public space and community resource, Lori Porreca and Miguel Gaddi have shown how breathing new life into old spaces can also lead to economic growth, individual opportunity, and a renewed (or altogether new) sense of belonging for area residents. This connection to a place and its people is invaluable, particularly for those Boise residents who have known many different homes throughout their lives.